With deep roots in her Omaha market, Amber Tkaczuk learned early the value of hard work, faith and perseverance growing up on a farm along with five siblings. She has put those lessons to good use as one of the most sought-after agents in her market. Tkaczuk found out early in her real estate career that nothing comes easy — you have to earn every client and every listing. I have been in the business for nine-and-a-half years. I first started thinking about getting into real estate when my husband, and I were selling our house and purchasing a new one. I enjoyed the process, especially the “hunt” for a new home. I love problem-solving and learning new things, so this career seemed like it would check a lot of boxes for me. I also liked the idea of a career that would be different day-to-day and one where I could be my own boss (bonus!). I was licensed right before I had our fourth child, and I knew I wanted to be at home with our children as much as possible when they were young. This career allowed me to do that, and now that they are older and in school, I am able to devote more time to my career. I see my business growing even more as I become more established, knowledgeable and confident in my skills and abilities. Maybe a team? That thought is a little terrifying, but it would force me to step outside of my comfort zone. Learning humility has been years in the making but a big lesson came early in my career. My own sister decided to use another agent, and it became a very pivotal moment for me. It was a wake-up call on many levels, and I probably did not handle it the best way at the time. I was hurt, confused and felt betrayed, but looking back, I learned so much. I was pretty arrogant and assumed that just because I had a license, it meant everyone I knew would use my services, even though I had not proved my abilities or competence. Although it was a trying time for me, I am thankful it happened. Having a client, or even worse, my own family, question my capabilities was something I never wanted to have happen again. That experience gave me the ambition and motivation to become the best agent I could be, one that my friends, family and future clients would be proud to have on their side. Always keep your emotions in check. Buyers and sellers are under a tremendous amount of stress and anxiety and the process can be a roller coaster of a ride for them. They need an agent who will ground them, not send them into more of a panic. You should help guide your clients through the process and give advice, when they ask for it, but remember, at the end of the day you are just the messenger. There’s no need for you to mirror your client’s emotions, especially if they are upset with the folks on the other side of the deal. Remain calm and always be nice to the other agent. Lastly, success doesn’t come overnight, and hard things take time. This is a tough business, but such a rewarding one if you stick with it. It is fun to look back at my career and see how far I have come. I cannot say I did it all by myself, but it definitely took a lot of perseverance on my end to be where I am today. 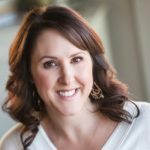 Christy Murdock Edgar is a Realtor, freelance writer, coach, and consultant with Writing Real Estate. Follow Writing Real Estate on Facebook, Twitter or Instagram.